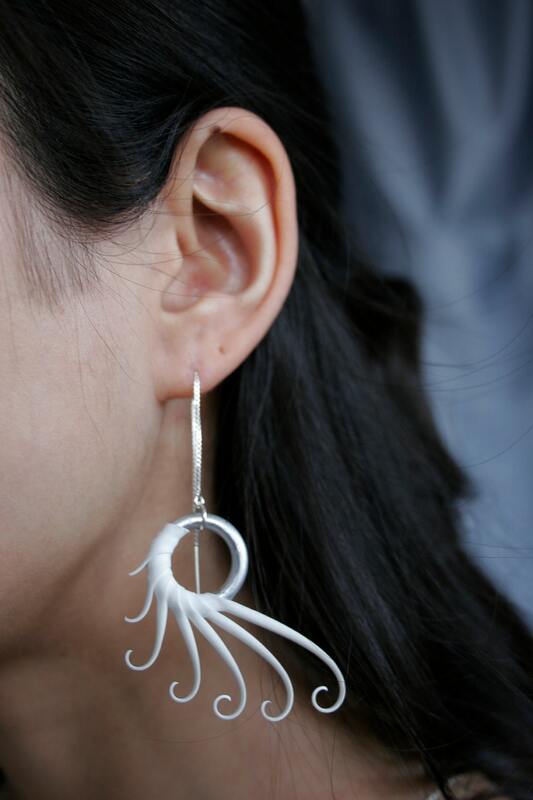 These are based on smaller versions of the white plume rings normally worn on the finger, but have been modified as elegant dangling earrings. 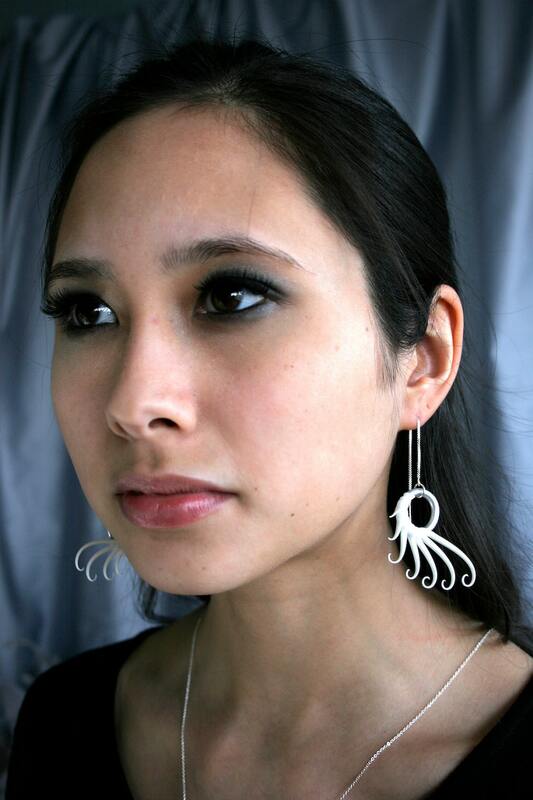 Earrings pictured hanging from a sterling silver box-chain "ear thread" which is threaded through the ear and allows for the height to be adjusted for a dangly look or worn closer to the ear. 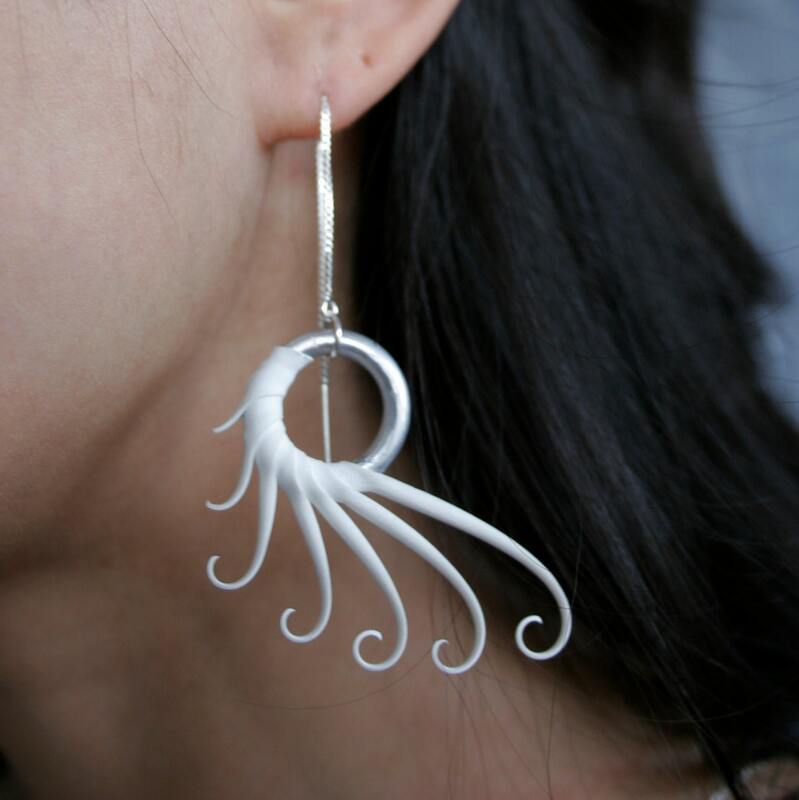 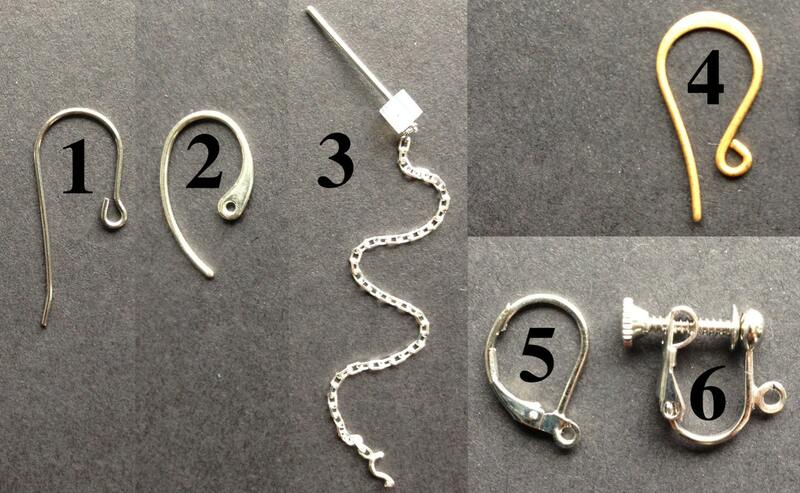 Conventional ear-wires are also available.